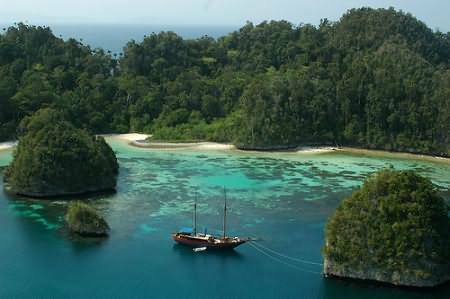 Kofiau Island is an island in the Raja Ampat, West Papua, which saves one of sea tribe civilization in Indonesia. Before the 18th century, Kofiau became a colony area of Kingdom Ternate. Local legend called the origin of the word ‘Kofiau’ was from the story of King Jailolo cap(‘kopiah’ in Indonesia) left on this great island. As for the sea tribe that inhabit Kofiau is called Betew. The nomad tribe from Waigeo Island or the northern of Kofiau is only 60 miles away. Since the 19th century, the Betew have inhabited the Kofiau and mingle with the settlers from the island of Biak. And until now, it’s like the sea will never be separated from the lifeblood of Betew. They indeed really inhabit the beach. And take the fishes only to the degree necessary to fulfill their daily needs. This group of islands are formed from a series of islands of about 32 islands including the Big Island (Sub Bakken) and cluster Rew (Boo Island.) 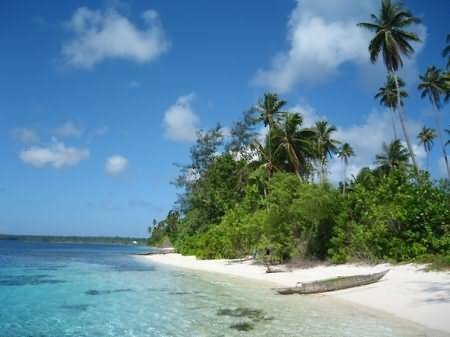 Villages on the islands are located on some northern parts of this group of islands (Kofiau besar), the three major islands which are being used as human habitation is, Deer, Dibalal, and Tolobi. The names of villages / village are adapted to the names of the island, and the side it’s stretching whether it’s from north to east or vice versa. Kofiau Besar and the other islands other woods used as the local’s livelihood, for example: for gardening, farming, hunting etc. In goverment’s organizational structure these islands have become a District sync with the District of Raja Ampat, and Kofiau Islands became a district of its own. 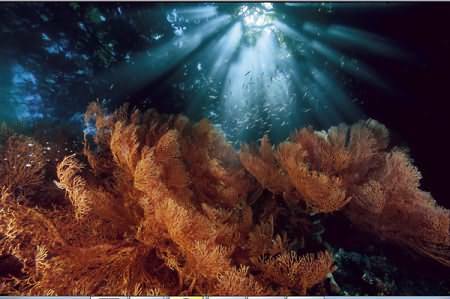 On Kofiau tourists can perform a variety of activities ranging from swimming, sunbathing, snorkeling, diving to underwater photography. 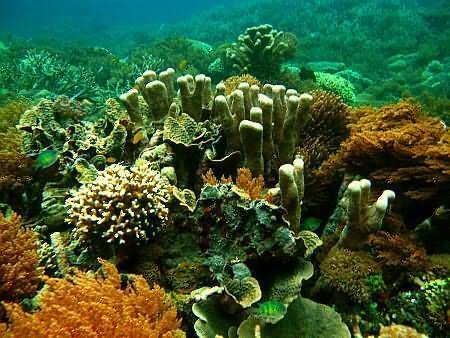 But he tourists are always suggested not to ruin the beauty of coral reefs on the island Kofiau this, because many coral reefs are already damaged by illegal fishing using chemicals. 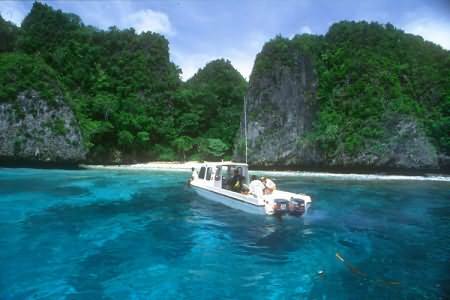 Since Kofiau island is a part of Raja Ampat Islands, it has already two international institutions concerned about the preservation of natural resources named CI (Conservation International) and TNC (The Nature Conservancy). 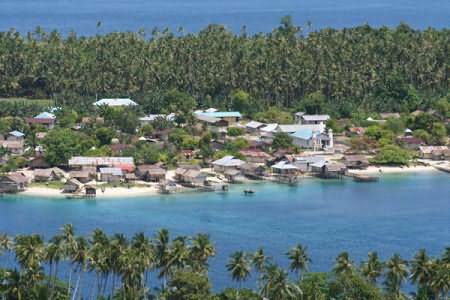 To reach Kofiau island tourists can travel by plane Sorong from their respective home, continued from Sorong to Kofiau using 2 choices of transportation: a tour with pinisi boat or using a boat from Papua Diving resort. No need to worry about the facilities and accommodation, the island has sufficient if not complete facilities and all. It has lodging, dining and other supporting facilities to make you always feel comfortable while visiting Kofiau.